The wait is finally over. Over 300 international startups expressed an interest in the 6th CODE_n startup CONTEST at the new.New Festival 2018. Our jury had the exciting job of picking the Top 50 most progressive game-changers, the startups most likely to leverage the opportunities presented by digital transformation – across all industries. The 50 Finalists come from 15 countries and will showcase their business concepts at the new.New Festival 2018 this fall in Stuttgart. Get your Early Bird ticket now! 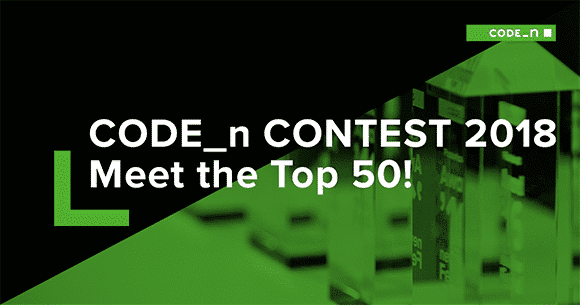 Our jury has decided – after the challenging but exciting task of reviewing an amazing array of game-changing business models and applications, we’re thrilled to announce the Top 50 Finalists of the 2018 new.New Festival and CODE_n CONTEST. The new.New Festival is a fusion of unconventional and creative milestones in technology, a celebration of innovation that brings together a whole host of parties who are passionate about tech and entrepreneurship – forward-thinkers who relentlessly push the boundaries of digital transformation. Undoubtedly, AI is accelerating the pace of innovation. It’s fueling a variety of radical shifts in almost every industry and field of business. It is also accelerating disruptive technologies such as blockchain, machine learning, and virtual/augmented reality. In fact, there’s hardly a single industry that’s not affected by AI. For this reason, the focal point of this year’s new.New Festival and CODE_n CONTEST is Intelligence X.0. Our aim is to explore exciting, futuristic fields of tech across three categories: Machine Intelligence, Beyond Reality, and Cryptographic Trust. 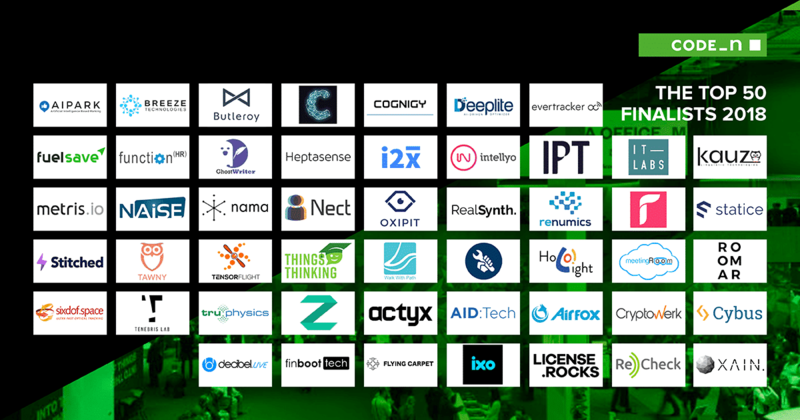 The over 300 startups that showed an interest in the CODE_n CONTEST spanned an impressive spectrum of digital solutions and use cases for cutting-edge technologies. It wasn’t easy for the jury to pick the Finalists, but we’re thrilled to announce that the best of the best have now been chosen. Our 50 amazing Finalists were selected based on the degree of innovation, the quality of the business case, the presentation, the use of innovative technology, and the market fit of the product. In the fall of this year, all will come to Stuttgart, a powerhouse of the German economy, to showcase their digital business solutions to potential customers, investors, mentors, and of course the media. “As a technology investor focusing on DeepTech topics, we continue to be amazed by the potential for transformation and disruption triggered by founders and their startups – across basically all industries. 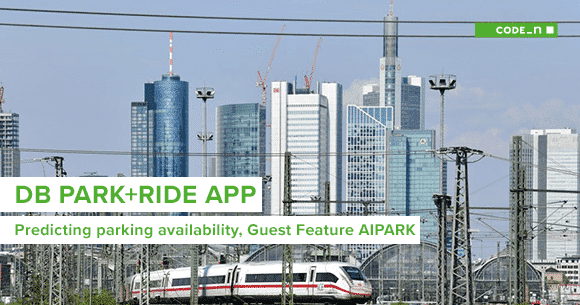 We were impressed by the quality and depth of the submissions to this year’s CODE_n CONTEST and look forward to meeting the 50 Finalists in Stuttgart in person”, says Christian Roth, Managing Partner of LEA Partners, who served as a jury member. “In today’s forward-thinking climate, traditional companies need to begin understanding that new technologies like artificial intelligence and blockchain aren’t a threat, they offer an opportunity to set up new business models and, therefore, establish new ways to generate money. Cost reduction is also a big factor, but it shouldn’t be the only goal. For instance, have you ever thought about a cloud-based IoT platform combined with distributed ledger technology? We certainly did! The aspiring Top 50 startups of this year’s CODE_n CONTEST are also demonstrating how to solve varied industry issues. 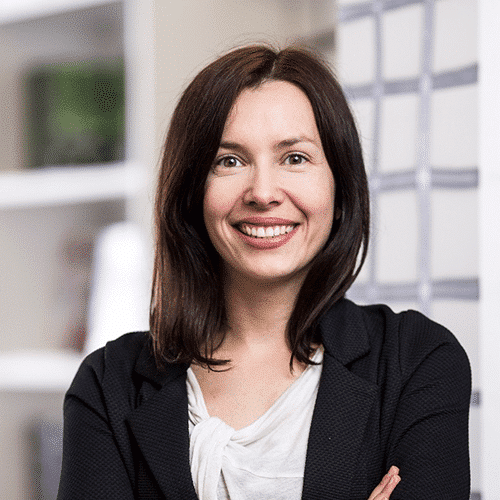 That’s why I’m thrilled to join the startup pitches, talk about alliances to join forces, and get to know the people behind the businesses”, highlights Marika Lulay, CEO of GFT Technologies SE. Naturally we wouldn’t want to leave you on tenterhooks, so we’ve decided to present some fascinating examples of the sort of things our Top 50 Finalists are up to. “The quality of the candidates this year was so high that it was often only the fine details that made the ultimate difference in the ranking and selection of the Top 50.I am very much looking forward to welcoming the 50 Finalists in early October here in Stuttgart. They all do justice to our motto of “exploring the DNA of digital innovation” and we are sure that the event will once again produce many successful collaborations and investments”, says Moritz Gräter, Managing Director of CODE_n. It’s difficult to imagine the world without technology these days. Our quality of life and work would be worse without revolutionary technology. Machine intelligence is now much more important to applications than many imagine. And it affects our personal lives just as much as it impacts industry. Our Finalists come from the United States, Portugal, Lithuania, Germany, and the United Kingdom. 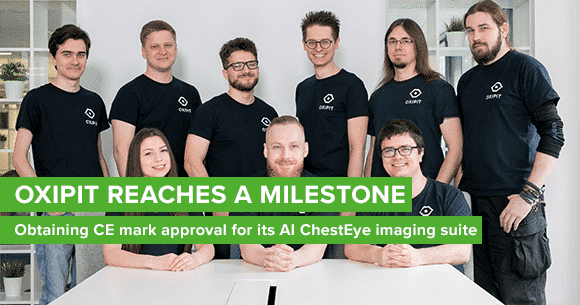 Together, they are pushing the boundaries of machine intelligence innovation and accelerating the pace. The startups featured below are raising the bar of technological advancement when it comes to environmental sustainability, terrorism and theft detection solutions (based on behavioral analysis software used in surveillance cameras), cutting edge industrial navigation and communication technology, artificial intelligence-powered medical imagery tools, and innovative transportation aids to enhance the quality of life. Have you ever wondered what would happen if you combine the power of AI with virtual reality (or augmented reality with mixed reality)? 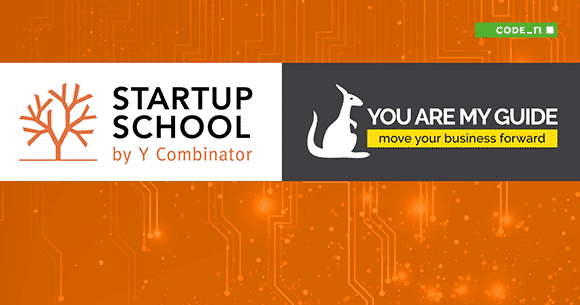 We have now discovered startups from Israel, Germany, South Africa, and Ireland with every ability to exploit the true potential of VR, AR, and MR. They do this by merging intelligent or autonomous technology with different graphical simulations of reality – simulations of things in the surroundings. Here is just a selection of examples of the key areas our Finalists are focusing on: virtual test fields for AI, a cost-effective engineering solution based on digital twins, interior design solutions based on AI-powered augmented reality applications, and enhanced image guidance for surgical operations. If you’re interested in solutions that add value to the internet, there are several startups among our Top 50 Finalists that hope to introduce innovations based on blockchain technology found in the world of business. 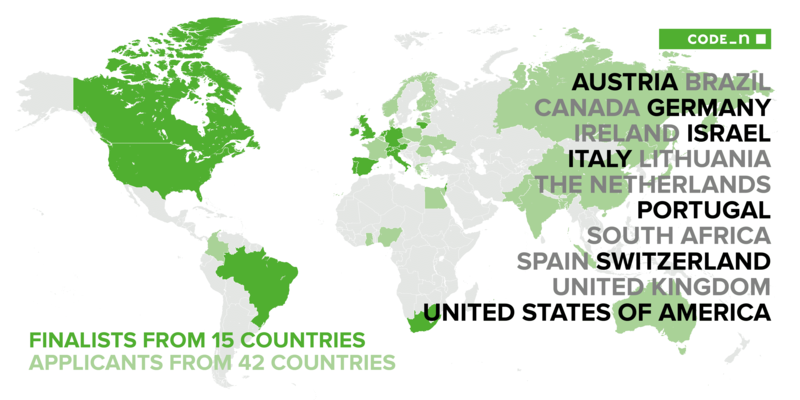 They come from the United States, the Netherlands, Spain, and Switzerland. Technologies like blockchain have every potential to transform the economy and even reach out beyond the realms of business. Just imagine there were a way to guarantee transparency and efficiency when providing aid or welfare support to disadvantaged or underdeveloped areas of the world. Or imagine loans or financial services could be offered to billions of people without needing to open a bank account or point to past credit agreements. These are the very ideas being tackled by some of our Finalists. Their aim is to highlight the potential offered by cryptography when it comes to social sustainability and development projects. In doing so, they aim to leverage blockchain technology, combat poverty, and improve the quality of life of people around the world. Going once, going twice – get your new.New Festival ticket now! The new.New Festival invites you to witness the awe-inspiring, infinite potential of artificial intelligence. This festival will likely attract thousands of visitors to the Hanns-Martin-Schleyer-Halle in Stuttgart, Germany. This is a tremendous opportunity – a festival you can’t afford to miss! There will be lots to see, from the greatly anticipated startup pitches of the Top 50 Finalists, to the jury crowning the winners, an array of innovation challenges, workshops, matchmaking sessions, and much more. Stay tuned for our announcements on each team (starting in June until the event in October).